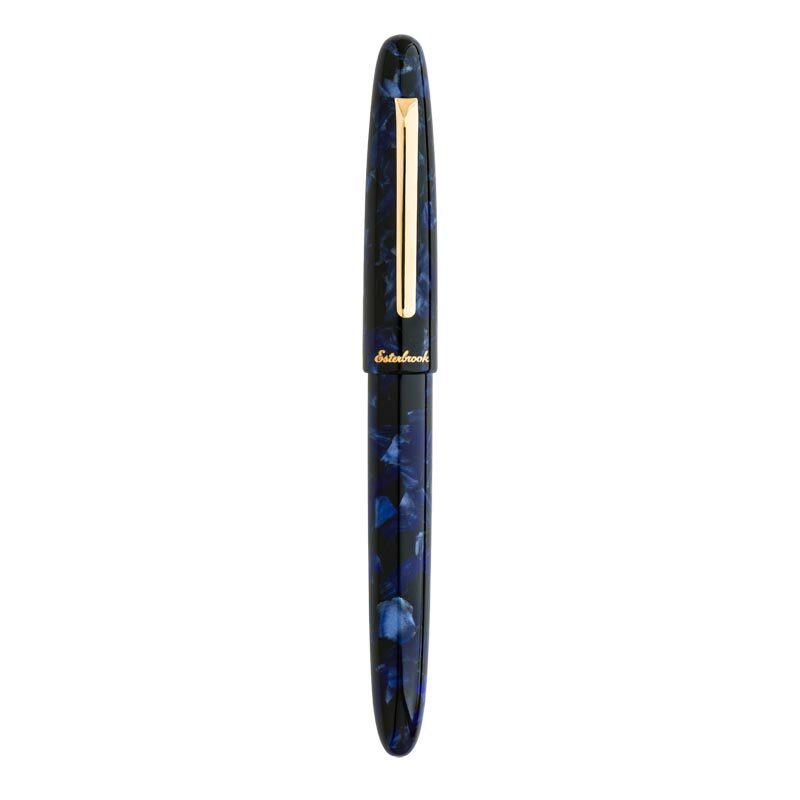 Add a little nostalgia to your daily writing with the Estie fountain pen. It’s the first collection by Esterbrook to accept the popular MV nib adaptor, a secondary grip section engineered to accept the nib and feed from many popular vintage Esterbrook steel nibs. The Estie has a clean and understated design with a ringless center and a sleek, narrow pocket clip. 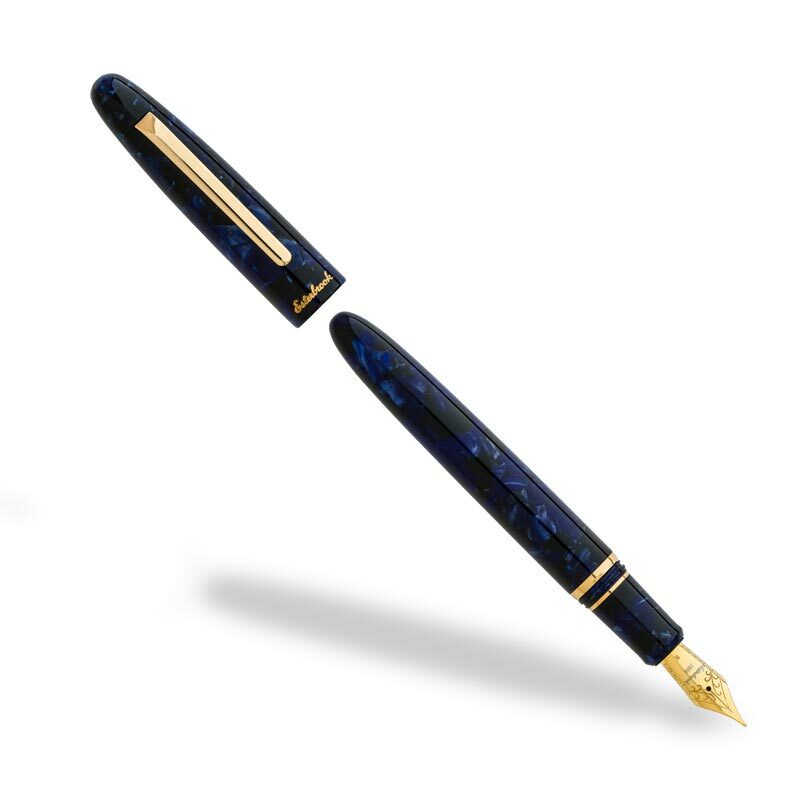 The blue and gold swirled barrel makes it an instant classic and soon-to-be favorite to add to your collection. 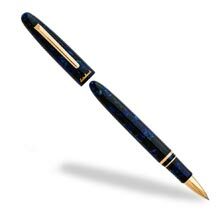 A tension spring at the bottom of the pen barrel provides extra bounce and comfort when writing. 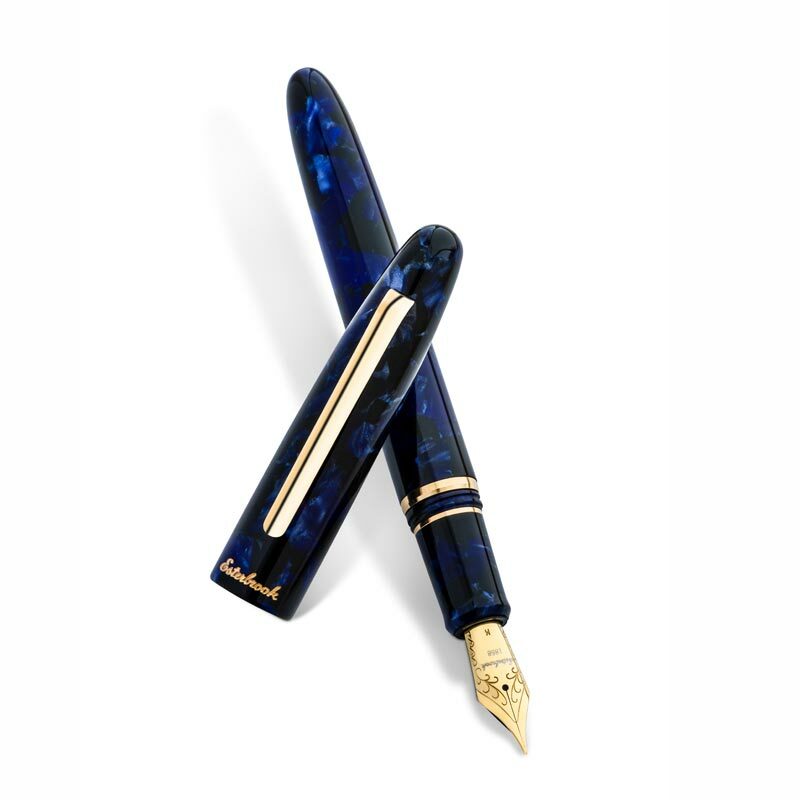 The cushion screw cap seals your pen to keep the ink fresh. Made in Italy.